This makes me so sad because let me assure you, AMAZING testimonials are not months or even weeks away! 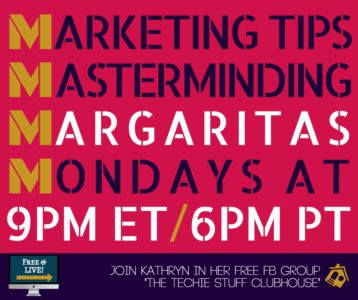 You can have awesome testimonials to use in your business in just a day or two – or maybe even an HOUR or two. Today’s video was all about how to get testimonials for your business, even if you haven’t served a single client yet. 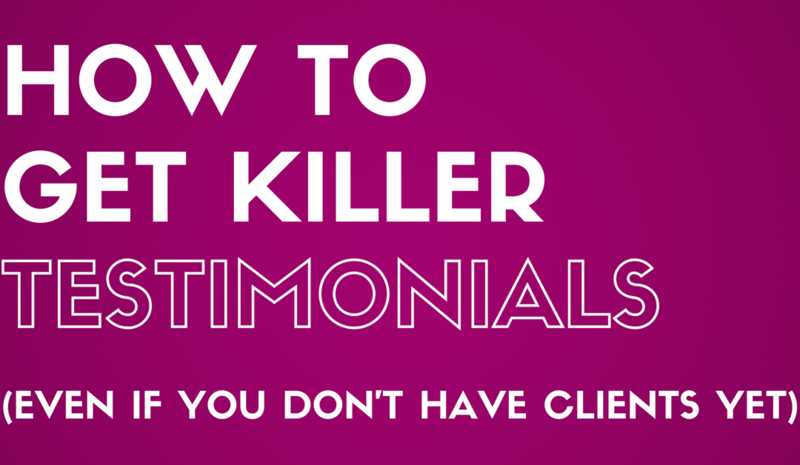 Download “5 Things You Must Have for Killer Testimonials, Even Before You Have Your First Client” now. Here’s the thing: It’s so so so important that you don’t wait until you have testimonials to launch your business or start trying to get clients. Maybe that seems strange to you, but to me it seems downright crazy to wait until you have testimonials. I mean, how are you supposed to get any testimonials if you never launch your business??!? I’m worried they’ll say no. I haven’t worked with anyone yet. I’m not sure that person thought I did a good job. I don’t want to bother anybody. If I am describing you at all, I strongly suggest you watch the video above! Have I ever helped any clients in the past with something similar I’ve done? Did I use the skills I’m teaching now in the past to help someone? Do I have any past clients? Do I have any friends or family I have helped with my skill set? Is there someone I know I could coach/advise who would be willing to provide me with a testimonial? Then, just make a list of the people you’ve helped or would like to help, and start reaching out. Do you know someone who could benefit from your expertise? They don’t have to take your whole course. You can just coach them for free for an hour or two and then follow up asking for a testimonial. Easy as that. Now, here’s the catch: There are good testimonials and bad testimonials… you want to make sure yours are the GOOD kind (of course!). Are you surprised that it’s bad? Well, it is. Why? Because it’s all about me. Awesome testimonials should be all about the client. That’s because when prospective clients read our testimonials, we want them to see what’s possible for them, what’s possible if they were to be our client. What changes would they receive? How would things go from bad to better? In other words, good testimonials are not about you, but about the person’s transformation by working with you. Great job Kathryn. Came across real and very positive. Hugs!